The diplomat dismissed the arguments against this step as erroneous. Special representative of the US Department of State for Ukraine Kurt Volker spoke in favor of supplying weapons to Ukraine and said that this issue is being actively considered in Washington. "Defensive weapons, ones that would allow Ukraine to defend itself, and to take out tanks for example, would actually to help to stop Russia threatening Ukraine," Volker said in an interview with the BBC on Tuesday, 25 July. In Volker's opinion, this step will not be a provocation. "I'm not again predicting where we go on this, that's a matter for further discussion and decision, but I think that argument that it would be provocative to Russia or emboldening of Ukraine is just getting it backwards," he added," he added. According to Volker, achieving peace in the east of Ukraine can be a part of "new strategic dialogue with Russia." 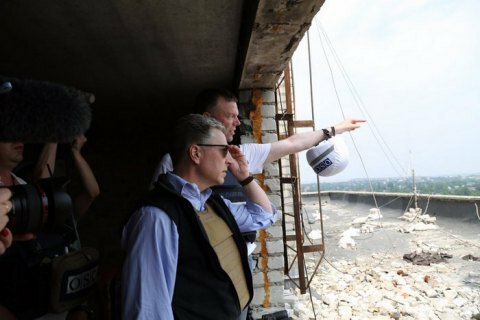 Last Sunday, Volker visited Donbas, where he called the fighting in the region "not a frozen conflict but a hot war."